Landscape lighting adds beauty, value and additional security to your home. Progress Lighting fixtures and accessories offer a complete solution for every application. This light shield helps to control and reduce glare for professional results when used with P5235-31 or P5237-31 spot lights (sold separately). 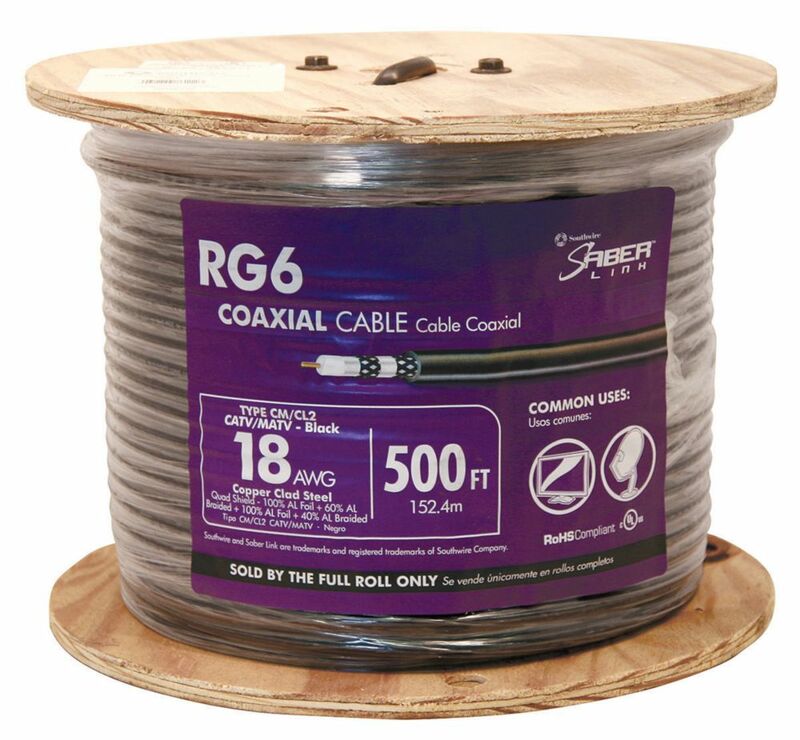 Rg6 Quad Riser Shield 152m Black Southwire Type RG6 Quad Shield Coax Cable is permitted for use with Audio/Video, Radio Frequency, and CATV/MATV Transmissions. Rg6 Quad Riser Shield 152m Black is rated 4.8 out of 5 by 29. Rated 5 out of 5 by Alex from Great product, great price. ... Great product, great price. Rated 5 out of 5 by SweetNibblet from Ran this to replace an old cable that was causing... Ran this to replace an old cable that was causing erratic tv output. Works well. Due to the extra shielding you need to peel back an additional layer of mesh and the foils so the terminal end slides easily for compression. Rated 4 out of 5 by IpswichJim from Product quality is good. No complaints. I wish... Product quality is good. No complaints. I wish it was available in a dispensable cardboard box though. Setting up a rod and stands is a time waster. Rated 5 out of 5 by Dino from No issues with running the spool or terminating. No issues with running the spool or terminating. Rated 5 out of 5 by SamW from Wire was used for extending DirecTV signal in detached... Wire was used for extending DirecTV signal in detached living space 166 feet from splitter. Have an excellent signal. Wire is of good quality.